My 'The Performace Series 2017' Race 1 [10km] (by Lingderella) | JustRunLah! 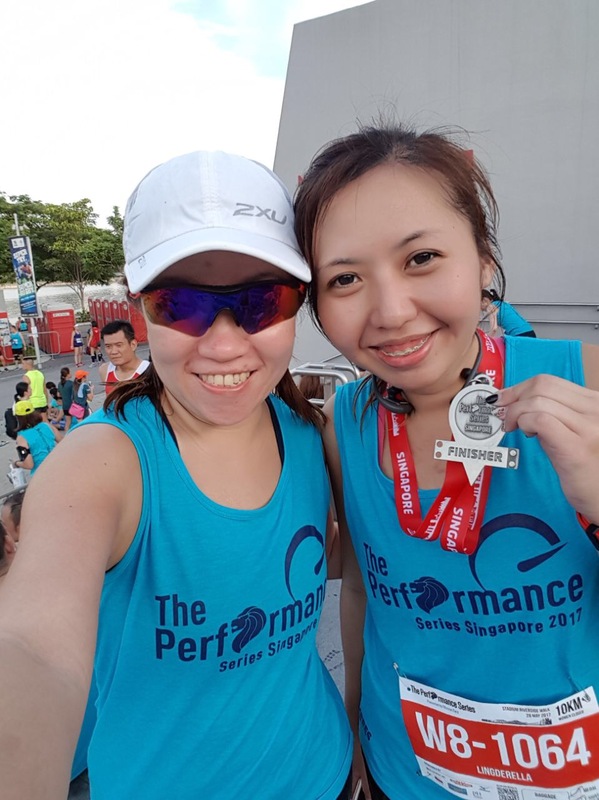 The Performance Series is a series of running races throughout the year at different parts of Singapore and this is the first of the three races this year. Last year, in 2016, there is only the 5km and 10km category but this year there is the half marathon category 😍 I’m running the 10km category. Proceed to the start line and was flagged off on time. Before that we were seeing the top half marathon runners coming in. With the first men under 1hr15mins. That’s almost the time I need to take to run my 10km 😆 I was still sick from my cough and flu. 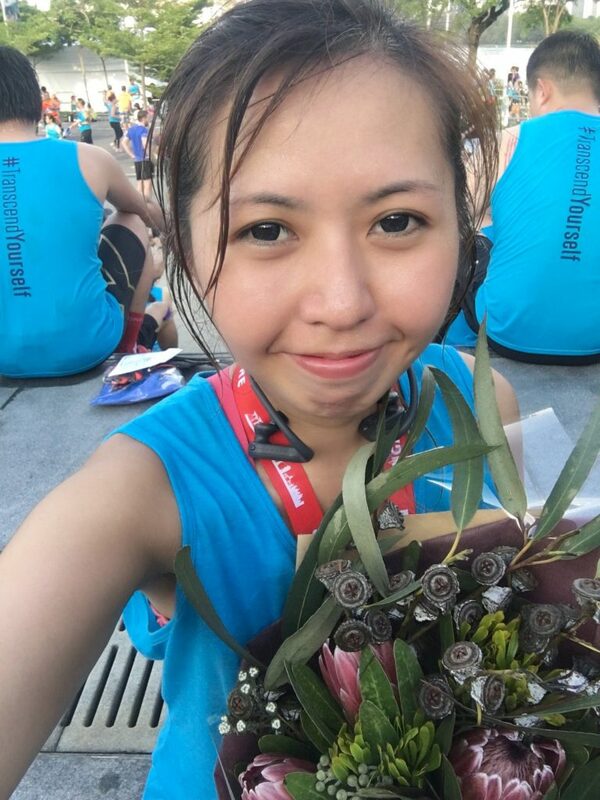 It’s been one week of no running after SCKLM but still just slightly better only. It’s the season now where a lot of people fall sick. Start point at Stadium Riverside Wall running towards the flower domes in gardens by Bay and that’s 5km when we make a u-turn back. Ending point and the collection point for the finisher entitlements are quite far apart luckily there is no queues. 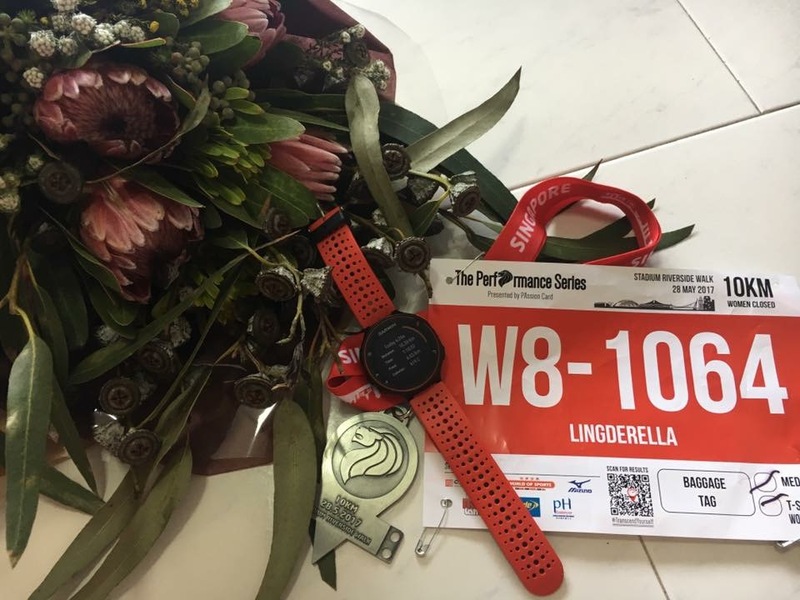 And collected my entitlements immediately 😊 I like the medal design and guess if I’m running race 2 and 3 I will be running 10km also the complete the same medals set. Last year runners only have race tee but this year there is race singlet! 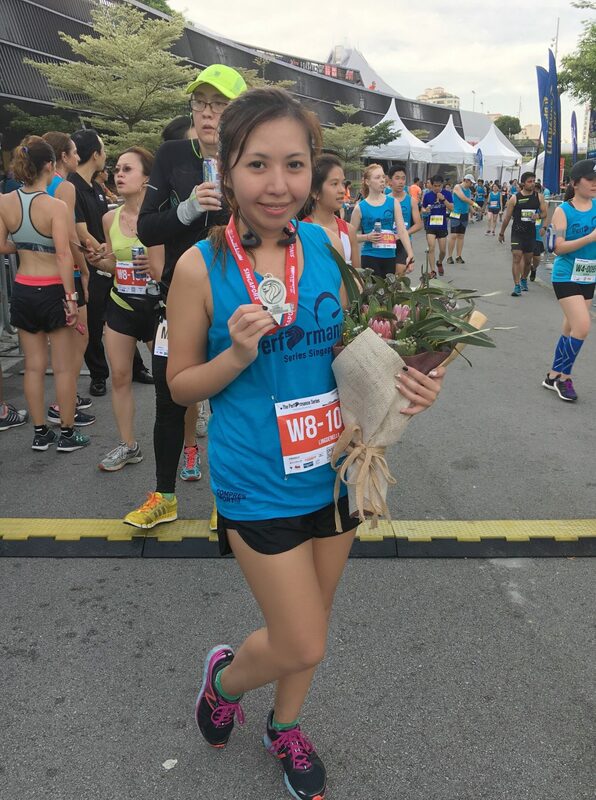 I really love the race singlet and the finisher tee material! So different from the usual dri-fit material and it’s so soft and nice to wear! 😍 And it’s so efficient! Race results are available as the websites is updating it live which is really awesome! Thank you Centerpiece Floral Design for the delightful bouquet!